Florida Keys Jet Ski Rentals, Tours & More! 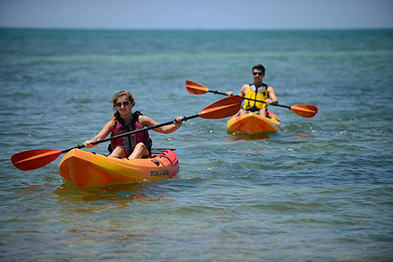 Make your vacation memorable with a unique watersports adventure in the Heart of the Florida Keys. As a destination, Marathon has the best our islands have to offer. A family-friendly atmosphere, very few crowds and the world famous 7 Mile Bridge. Reserve one of our jet skis, kayaks, or paddleboards and see what you've been missing! Enjoy an action-packed adventure on a jet ski. Join us for a Guided Tour. Or, rent your own jet ski. They fit up to 3, and fly over water at speeds of 50+mph! Half hour and hour rentals. Paddleboard rentals are available for half a day, or by the hour. 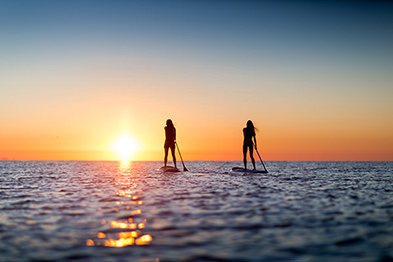 Explore the beautiful Florida Keys waters from your personal paddleboard. Fun for newcomers and experienced alike. Relax & enjoy a peaceful paddle along the Marathon shoreline. Single & Double Kayaks are available for half a day, or by the hour. Perfect for families, friends, couples, and solo adventurers. Friendly, accommodating and helpful. Rented jet skis and had a blast. Fantastic views and area to ski in. Excellent pricing compared to the rest of the area. Highly recommend them. Ready for some Keys relaxation or an on-the-water adventure? Choose from our affordable, fun watersports rentals & activities. There's something for everyone! Now with locations Oceanside & Bayside so you can enjoy the water any time of year. Dolphin Bay Watersports • Copyright © 2019 • All Rights Reserved. • Made in Florida by book'd solid.